Alex Callegari, a Boca Raton Fire Station 8 firefighter, has proven that he can stand the heat – both on the job and in the kitchen. Recently, the 44-year-old was the South regional winner in Hormel’s America’s Best Firehouse Chili Contest for his Miami Style Chili. In September, five regional winners competed at the New York City Fire Museum. The grand prize was a $10,000 gift to the winner’s fire station and a $20,000 donation from Hormel to the National Fallen Firefighters Foundation, which honors late firefighters and their families. Contestants had two hours to prepare their dishes. Although Callegari didn’t win the grand prize, runners-up received a year’s supply of Hormel chili, which he donated to Boca Raton’s Place of Hope, and a golden ticket to the World Food Championships, which was last month in Alabama. Callegari competed and was again a runner-up. The Miami resident, who was born in Italy and moved here at age 5, developed an interest in cooking while spending time in the kitchen with his mother. “She was a phenomenal cook – way better than I’ll ever be,” Callegari says. “They were brutally honest,” he jokes. 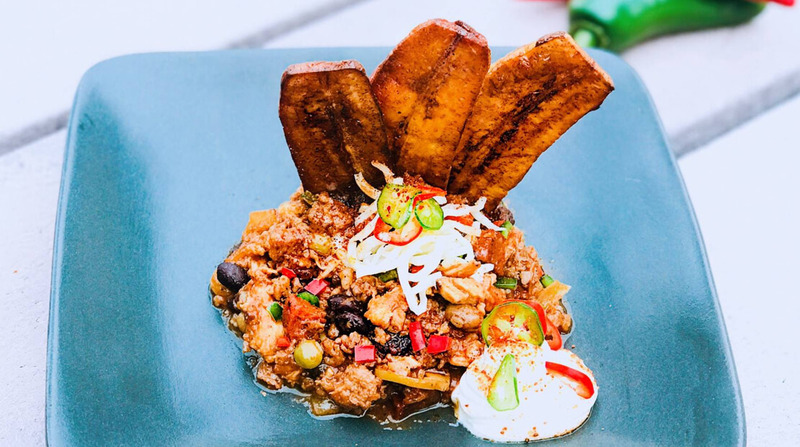 Inspiration for the recipe came to the firefighter at the supermarket, where he decided to blend South Florida ingredients (like chorizo, guava paste and black beans) with traditional elements to create a unique regional dish. The recipe’s success speaks for itself, and his toughest critics – his fellow firefighters – gave his Miami Style Chili a unanimous thumbs up. When Callegari isn’t fighting fires or coaching his three sons’ football teams, he teaches cooking skills to young adults aging out of the foster system at Place of Hope in Boca Raton. Another nonprofit close to Callegari’s heart is a scholarship he founded in memory of his late firefighter friend and mentor, John Wilson, who died in an accident. The John Wilson Memorial Scholarship provides tuition for one individual in need to attend EMS courses, EMT and paramedic courses, and one culinary class – in memory of Wilson, who was a professional chef prior to becoming a firefighter.